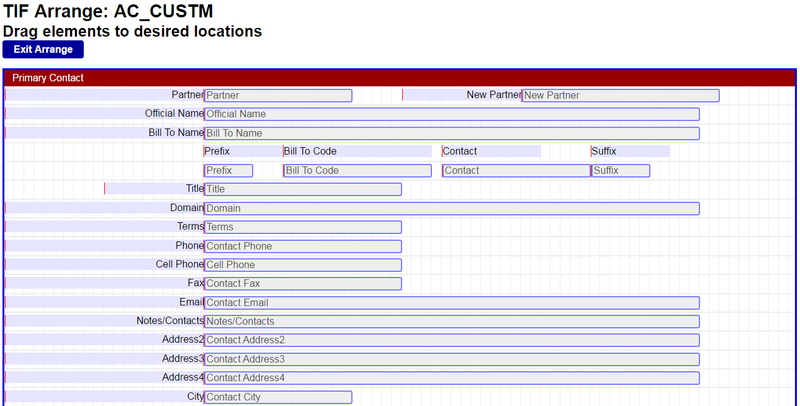 Control Panel is a modern tool for rapid system front-end customization. The design and function of HELM can be significantly tailored and administered with our Control Panel. This application offers tools to allow configuration and customization of a number of aspects of HELM, including data structure, entry screen layouts, menus, user profiles, dashboards, and more. No coding is needed, all changes are made with setting changes or drag and drop tools. With this tool, your administrator will have significant power to shape and adjust your HELM system as your needs grow and change. Control Panel is an application with a number of functions, each of which focused on the administration or customization of a specific aspect of your HELM system. Below is a survey of the main functions. These functions are listed in the order that one might use them to add a completely new database entry page to their HELM system. The database designer allows an administrator to add or modify certain database table and related DDL as well as run SQL queries. This powerful option, combined with the Menu and TIF managers, allows for the addition of entirely new database objects and data entry pages. This is just another key to the flexibility and scalability of HELM. Without coding, an administrator can expand the data structure and operations of the system. The TIF (Table Information File) Designer is the original core design tool of our products and has evolved for over 20 years. Formerly a standalone product, TIF Studio, TIF Designer is now one of the many integrated components of Control Panel. The TIF Designer allows you to generate and modify a display page for any database table. This tool gives you the power to not only modify the structure, look, and operation of any existing data entry table in HELM, it also allows you to generate a page for any new table you may choose to add to your HELM system. For example, a new database table could be added to your system using the Database Designer. Then, using TIF Designer, you could simply name your new page and click on Create TIF. The system automatically generates a default data entry page for your table. The Arrange function of the TIF designer allows you to open any existing page in HELM, or a page you just created, and arrange the layout of the data elements. If the table is more complex, you can have multiple tabs (or sub pages) and drag elements between the pages. All changes are made in real time and you can instantly see the results. Placement is simple with the built in snap to grid. The Field Properties function of the TIF designer allows you to make detailed changes and data property, type, and action adjustments to any object on the page. For a typical data entry field, there are close to 100 different properties available to apply or adjust. Example properties are display length, entry required, drop down available, lookup, lower case allowed, color, HTML coding, and much more. Other functionality of the TIF designer include adding tabs to a page to divide large tables into multiple, smaller, grouped entry pages. There is a feature to add custom action buttons a page to call custom functions, like print a report, call a stored procedure, or a host of other operations. The Lookup Designer gives you the power to build relationships between tables and entry pages and pull data from one table to another. A simple example would be having a lookup on an order entry page to pull in customer and shipping address information by having a “lookup” to the customer table. Any text field in any table can have a lookup attached that will bring back one or many fields from any other table. New in Control Panel is the addition of dropdowns as a lookup type. This gives the ability to have short, quick drop down lists of static choices, instead of looking up to another table. For Example if you wanted to have predefined choices for Shift (First, Second, Third, Weekend) without having these choices come from another table, you could define this as a dropdown list. All new for Control Panel is multi-language support, and the ability to generate profiles for over 50 different languages! With the Language Designer, you can create as many language and region profiles as you wish. 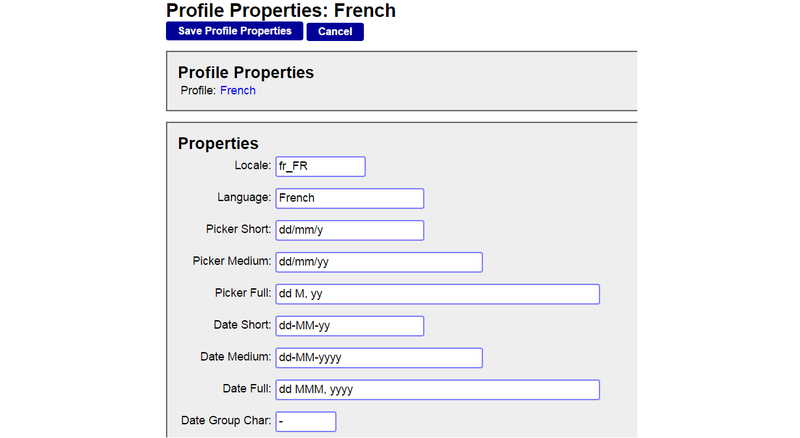 Users can then by defaulted to a specific profile, so when they login to HELM, they see the language of their locale. The Language Designer has three primary components: Language/Region profile, Language generation, and Language Editing. The Language Profile is the base definition for the Language and region setting you want to add or modify. This profile is based on the CLDR (Unicode Common Locale Data Repository) standards for all countries. HELM ships with a standard profile for English, French, and Spanish. You may modify these profiles, or add any new profile you choose. The region setting effect how various data types (like currency, dates, times) display system wide for each specific user. Language generation utilizes the Google Translation service to generate a profile for any new language you choose, and that Google supports. This generator will create new text for every data field, every button, every menu… virtually everything in the system. The Language Editor allows you to override the translation for any word or phrase in a profile. This allows you to tweak a profile to use wording more appropriate to a sub-region, or to enter translations for any phrases that can not auto-generate. The Media Manager allows for the uploading and management of media items like images or videos. From this media repository, media can be embedded in pages or tied to specific data elements. The Menu Manager allows the addition of new, or modification of existing menus in your HELM system, or to any outward facing web portals you have created. The menus can point to system additions, custom coded pages, external sources, etc. All menus are tied to security profiles allowing user or group specific access or rights to each menu. Using the Security Manager, an administrator can add or modify user profiles, add or modify users, and control very detailed rights and access for each. Security manager can assign specific rights at a menu level for any user or group. This gives the ability for menus (in HELM or a web portal) to only appear for some users and groups, and not others or to be limited to read-only for some users while other may insert or edit data. Security manager can also allow an administrator to control which users have access to what products or sites.